Preheat oven to 350°F. Line a 24-count mini muffin tin with 20 mini cupcake wrappers. 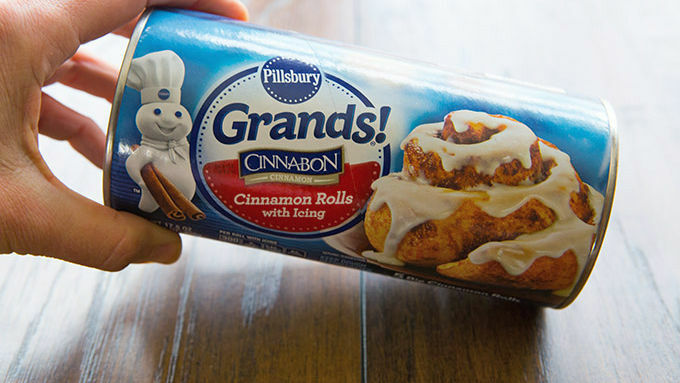 Open the Pillsbury™ Grands! Cinnamon Rolls. Set frosting pack aside. Slice each roll into 4 pieces. 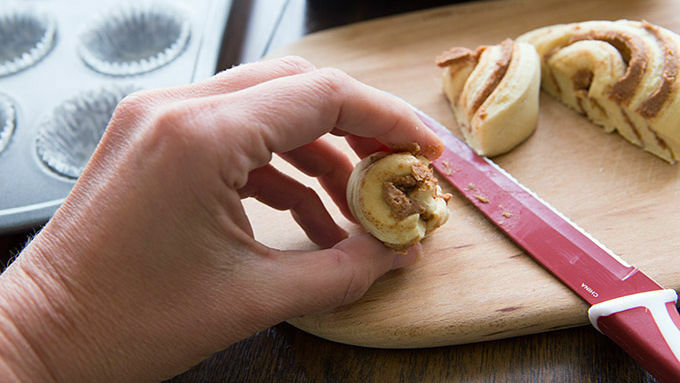 Pinch each wedge of dough into rounded mini cinnamon rolls. Press dough into lined muffin tin. Bake for 8-10 minutes, or until the tops turn a light, golden brown. Drizzle immediately with the frosting pack. Decorate with sprinkles if desired. Go rainbow! Tint your frosting with Betty Crocker™ food coloring gels and drizzle each cupcake with a different color. Match your sprinkles to the frosting for extra pop! Mini cinnamon rolls served up like little cupcakes. The time has come. Who says you have to run to a restaurant to enjoy a batch of fresh-baked mini cinnamon rolls? With this easy recipe we’ll show you how to make yummy lil’ cinnamon breakfast cupcakes in 20 minutes flat. One ingredient is all you need. 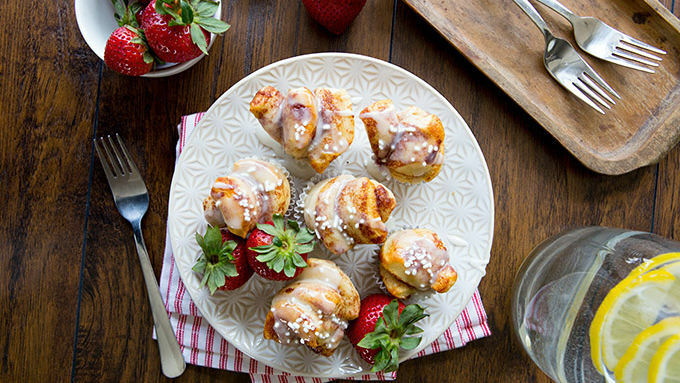 Yep, this adorable idea is what we like to call pure breakfast brilliance. Here’s your ingredient line-up. A single can of Pillsbury™ Grands! Grab a few the next time you’re at the grocery store and you’ll be able to whip up these cinni-minis whenever you please. Need a quick breakfast? Boom. Want a snappy snack? Blam. Hosting a last-minute brunch? Boosh. (Also, you’re going to need mimosas. But that’s a whole ‘nother article). Once these cuties are done baking. be ready with your frosting! These taste yummiest when you frost them ASAP. Just follow the directions on the back of the package, allowing your frosting to melt (or microwaving it for just a few seconds) until it’s easy to drizzle. Serve with your favorite breakfast munchins. Which is the word we use for munchy yumyums that make amazing morning food. But you knew that, right? Eat, share and enjoy!